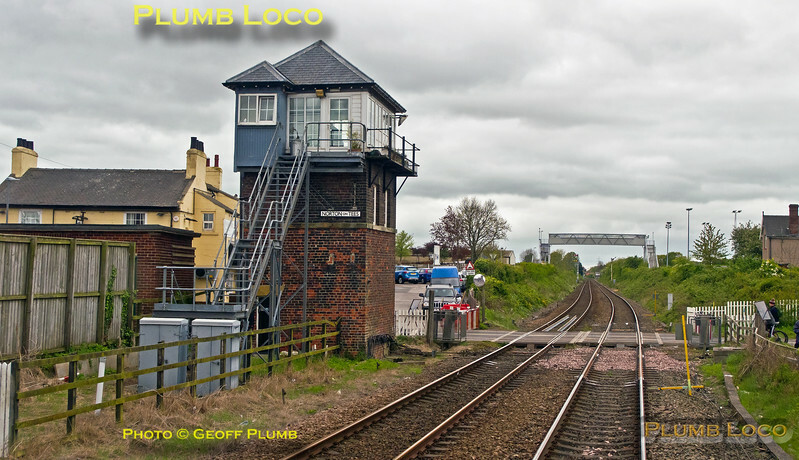 Although there is no longer a station at Norton-on-Tees, the magnificent signal box still controls the level-crossing at Station Road, protected by semaphore signals. This is one of the few stretches of railway where HSTs can still be seen in conjunction with semaphores. As seen from the rear cab of 185 108 as the BLS "Vallum Hadriani Tracker" tour passes at 11:37¼ on Sunday 7th May 2017. Digital Image No. IGMP26648.